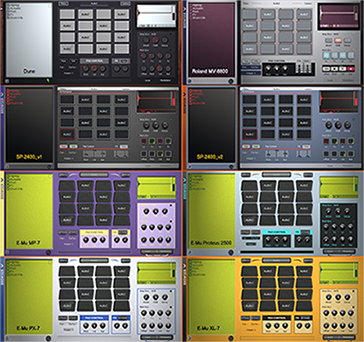 *SP-2400 is a project initiated by Isla Instruments, inspired by the E-Mu SP-1200. One Small Clue Poise Skin Pack Vol.9 has been exclusively released on AudioZ by miklan who chose to ask not to post mirrors. I think you're that your skins are only reason that people know what Poise is, anymore, Miklan. I still think it's a solid sampler and--not to incur the wrath of Maschine freaks (calm down, I too, love Maschine,)--I have to add that Poise has a legit round-robin feature....*cough* are you listening, NI? The only thing older than Poise is "Dinosaurs". But I don't want it to be forgotten. It was the first VST i've bought, and even imperfect, it's so perfect & convenient for my needs.